Fresh sheet music for you! Having trouble viewing this email? New sheet music has been added to the Virtual Sheet Music site. Easter Day this year is earlier than usual (March 27th), and we have special Easter Collections for you! Saint Patrick's Day will be here on March 17th! These are printable digital sheet music titles from Hal Leonard or Alfred publishing co.
As a Member, you can enjoy a 50% discount on these titles. "When We Were Young" for guitar (chords), by Tobias Jesso Jr. Enjoy the music more than ever! who might find this content valuable in the same way you do. ...plus more music for other instruments and ensembles. Just reply to this e-mail with your queries or requests. Until next time... enjoy the great music! 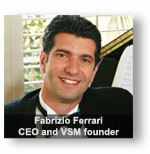 with updates and promotions from Virtual Sheet Music.